The great thing about berets is that they never go out of style and are versatile to wear. Wear this stylish beret to the side, pulled down over your ears for warmth, or sitting on the back of your head. 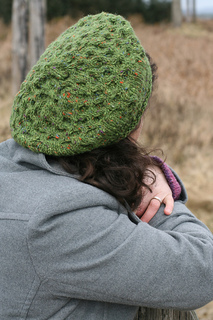 This beret’s all-over honeycomb cable creates visual interest while still being subtle enough not to dominate the hat. 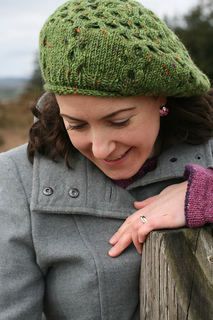 When knitting a hat, the finished measurement of the band should be approximately 2” (5cm) less than your actual head measurement to ensure that it will stay in place and provide a snug fit. Instructions given for both a smaller beret style and a larger slouch style. 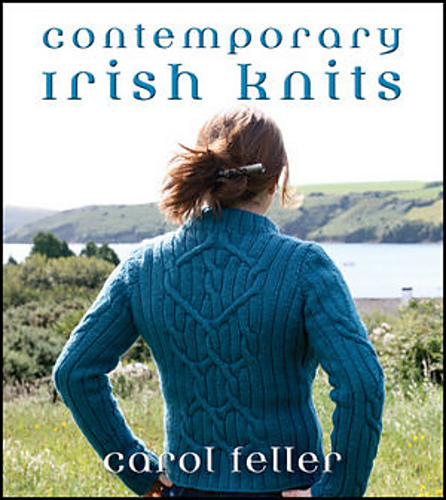 A good complement for the Killybegs Cardigan. Approximately 2–3” (5–8 cm) of negative ease is recommended. Shown in small, slouchy version. 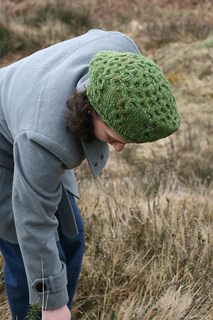 NOTE: This yarn is also sold under the “Kilcarra” and “Studio Donegal”labels.